Face front, true believers! We’re barely three weeks away from one of the biggest cinematic events of our lifetime. Avengers: Endgame is not only the fourth Avengers film, but the conclusion of The Infinity Sage, the culmination of 11 years and 21 films leading up to it. 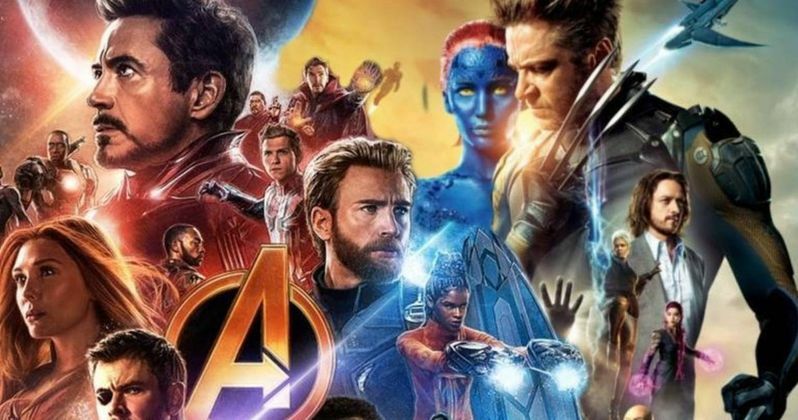 The preceding film, Infinity War, is the 4th-highest grossing moving of all time. Expectations are HUGE. (*SPOILERS*, by the way) Different people predict different things, and some of us want different outcomes. Here is what I’m hoping for. The biggest blockbuster of the summer season is the perfect opportunity to get your trailer out to a massive audience. What do I want to see? The teaser, which just dropped, was awesome. I’d be happy even seeing that in theaters or maybe even a new trailer. Can you believe the trailer’s been out for TWO YEARS, I’ve seen God knows how many movies since then, and I still haven’t seen it. They’ve retooled the trailer too, done reshoots, so I’m not sure what’s out there. But this is just part of my insistence on seeing it for the first time in theaters. It was an uphill battle just getting the TITLE out of these people. How long are going going to wait until the trailer? Let me remind them that November 1st is barely over six months after April 26th. Definitely not too soon for a teaser. -Star Wars Episode 9: ??? While obviously after the blasphemy of The Last Jedi, an offense worse than anything a galaxy of gungans could do, I’m ambivalent about this movie. I’m mad at the makers, and I want them to be punished, I suppose through box office failure, for what they have done to my beloved franchise. But of course I’m still interested. Disney is getting the two biggest box office smashes of the year (from a pragmatic perspective, I should be happy about the value of my stocks), and it’s a no-brainer to debut the teaser for the second at the first. And how about a title? Like I said, this is the ultimate epic culmination of the MCU, an incredible shared universe that includes the Netflix shows, which are some of the best superhero shows I’ve ever seen, and I’ve seen a lot of them. I’d go far as to say that Daredevil is the very best live-action superhero show I’ve ever seen. So far, Disney has kept the shows and the movies pretty separate. There are a few references to the movies in the shows (Hammertech in Luke Cage, Ben Urich having his articles about “The Incident” and Hulk and Abomination’s brawl in Harlem framed), not vice versa at all. Let’s change that! I understand that not everyone in the audience will have seen these shows and Disney doesn’t want to alienate anybody, but have faith in the audience’s ability to catch up. And hey, I know that The Punisher taking it to Thanos is as unlikely as it is awesome, but even if it’s just a cameo or fleeting reference, like Matt Murdock walking to work when he sees the alien invasion, Foggy Nelson as an extra in a crowd scene, a etc, it’d still be pretty cool. Throwing a “Rand Enterprises” sign in the background wouldn’t confuse or alienate anybody. Those not in the know would barely even notice it as just some random company in the background, while those of us familiar would squeal with delight. Oh sure, there are plenty of other supporting characters I’d like to see return (Happy Hogan, Abomination, Samuel Sterns, Professor Selvig, Valkrie, Karen/Suit Lady), but for now I’m focusing on these two. Louis Leterrier’s The Incredible Hulk is sort of an odd man out in this franchise. Personally, I enjoyed it more than Iron Man, but it didn’t do as well as Marvel wanted, and there have been no more solo Hulk films, the incomparable Edward Norton was replaced with the irritating Mark Ruffalo, and other than than Urich’s framed article and the return of William Hurt as Thunderbolt Ross, it hasn’t been mentioned. But if General/Secretary Ross can come back, why not his daughter? I much preferred Jennifer Connelly in this role, but I respect continuity, and Liv Tyler was fine. In Thor Ragnarok was kinda lame to have only a couple of lines of dialogue mentioning that Thor and Jane broke up, especially given how powerful and sentimental their reunion in The Dark World was. A heavy-hitter like Natalie Portman could only add to the prestige of the film, even in a cameo. Infinity War was not bereft of romance. We had Tony and Pepper as a real couple with real issues, Vision and Scarlet Witch’s surprisingly affecting relationship, and Gamora and Star-Lord’s emotional goodbye. But an epic story like this needs an epic love story, and bringing back the romantic interests couldn’t hurt the totality of the saga. Let us know if they survived The Snap, at least! After he was tragically taken much too young, it has been confirmed that Endgame will be the very last of The Man’s cameos. Make it count. 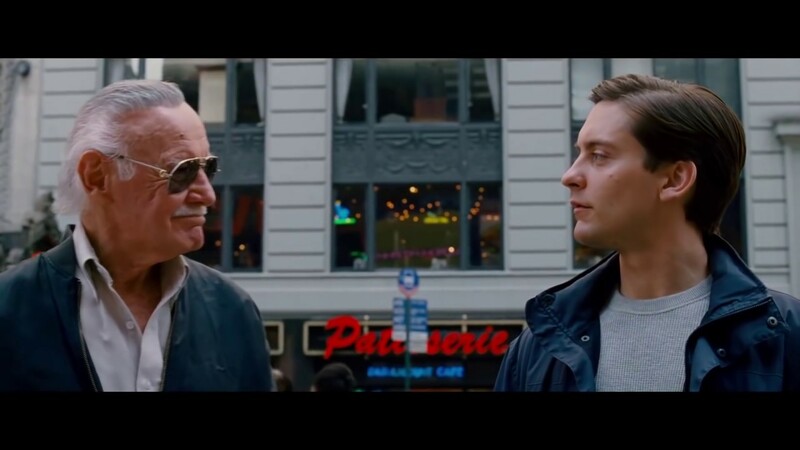 It’s hard to imagine a cameo more meaningful or touching than his appearance in Spider-Man 3 (“You know, I guess one person can make a difference. Nuff said.”), and of course, the filmmakers couldn’t have known this would be his last when they wrote and filmed it. So it may be as fun and inconsequential as his appearance as the bus driver in Infinity War. Still, they would have known how epic this climax would be, so maybe they did make it extra special. The One Above All? Who knows. Nobody expects everyone we saw die in Infinity War to stay that way. Yeah, Disney’s gonna keep Black Panther dead after his highest grossing solo superhero movie of all time? And the next Spider-Man movie comes out two months after Endgame. Yet the screenwriters Christopher Markus and Stephen McFeely insist it won’t go like we expect. “The deaths are real”, Markus tells us, that as soon as we accept that, we can move on to the next stage of grief. Uh huh. My theory is that this means the actual pre-snap deaths we saw on screen are real. That Hemidall, Loki, Gamora, and Vision really are down for the count, but it will be revealed that everyone dusted away was actually swept into the soul stone or something, not a literal death, and it’s just as easily reversed. Anyway, we know they’re not keeping all these characters dead. I just hope they do what they have to do in a way that’s not an obvious and lazy cop-out. And speaking of death, it’s time for some. High stakes, shocking, big character deaths. Not that I want any of my heroes to die, but this is the end of an era. Let them go out heroically. Or maybe drop a bridge on one or two. The climax of Infinity War wasn’t as exciting as it could be, because you knew there was no chance any major character could die in battle with a swarm of nameless generic aliens. But if someone is actually killed in random happenstance or the heat of battle, that would make it all more suspenseful, real, and epic. This has got to be the big one. 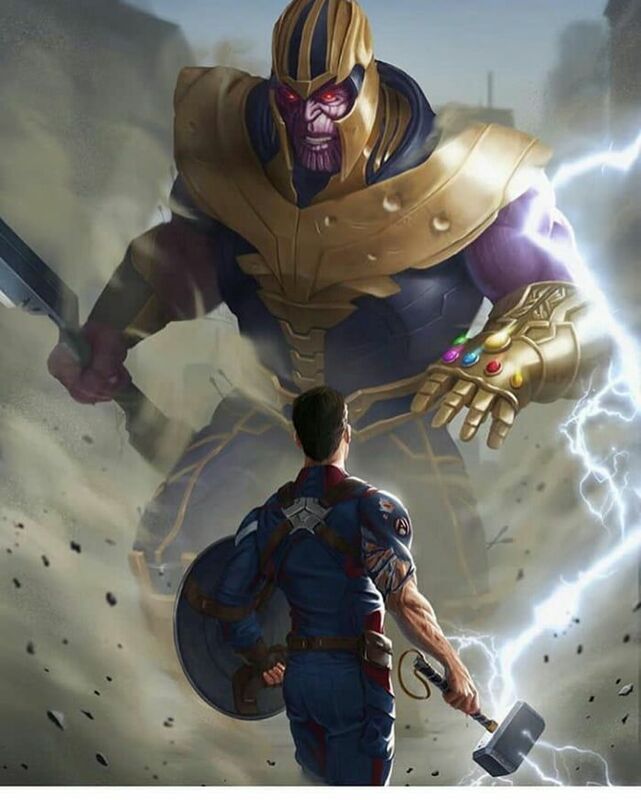 The final defeat of the biggest bad of the MCU. How will they pull it off? Will Thanos die? And if so, will it be one character doing it, or a group effort with one giving the killing blow? And who should that be? Nebula, like in the comics? Captain America with Mjolnir? Adam Warlock making a surprise appearance. Despite Kevin Feige gushing over how Captain Marvel is the most powerful character in the MCU, more powerful than Thanos, I have faith that The Russo Brothers are too smart to just have Carol show up, blast Thanos, and get all the credit. Come on. 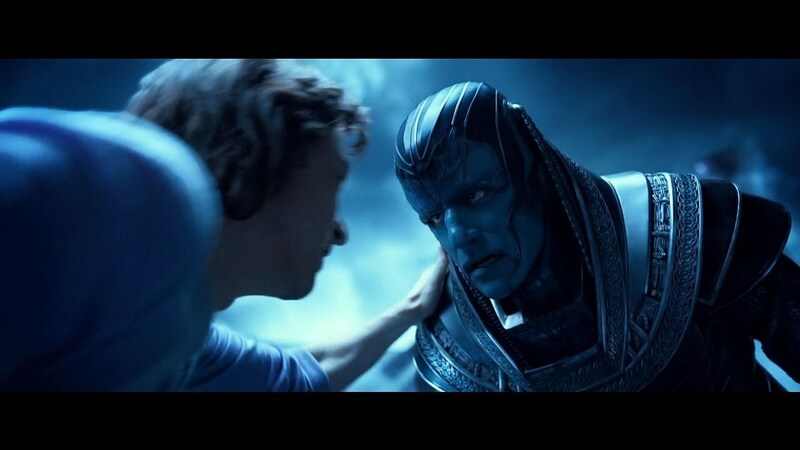 Personally, I think X-Men: Apocalypse had the most perfect superhero team climax I’ve ever seen. After giving every single character something to do, including Storm’s defection and Magneto’s redemption, leader of the family Charles defeats Apocalypse’s megalomania with the thematically significant summation, “You are alone…and I am not”, before Jean Grey finishes him off with a stunning display of power. So underrated. You know exactly what I mean. After getting a few good hits on Thanos in the opening fight, Hulk would not appear for the rest of Infinity War, and Bruce Banner spent the rest of the movie as a total dunce. If you want to hold off on Hulk reappearing for thematically significant reasons that will make his reappearance in Endgame all the more epic, fine. But Rhodey trolling him with the bow, Shuri proving she’s not only the smartest kid in the world but the most condescending with “I’m sure you tired your best” after Banner dumbly admits he didn’t think of her solution to the Vision problem, Nakia’s look of incredulous disdain after he trips in the Hulkbuster suit, further embarrassing himself. Come on. Why make Bruce Banner the comic relief? It’s hard to “up” from here from this epic, and perhaps in the next phase of the MCU shouldn’t even try, focusing on smaller, more personal stories than trying to get even grander. Still, bringing in some of the even more cosmic elements, such as the Cosmic Entities who created the stones (Eternity, Infinity, Entropy and Death, referenced in the Guardians of the Galaxy), or The Living Tribunal (whose staff we saw in Doctor Strange) could be cool. Maybe even, as mentioned earlier, Stan Lee as The One Above All? Thanos grinned at the idea of “courting Dead”, at the end of The Avengers, but we haven’t seen her personified. YET. Or, considering the merger with Fox being complete, is there room for the Devourer of Worlds? Arguably, this is less in the hands of Feige and The Russo Brothers so much as my own onus. Still, the facts remain, when opening weekend Endgame tickets were being snapped up like so many superheroes in the wind, I was sharp enough to buy TWO tickets to a prime screening. 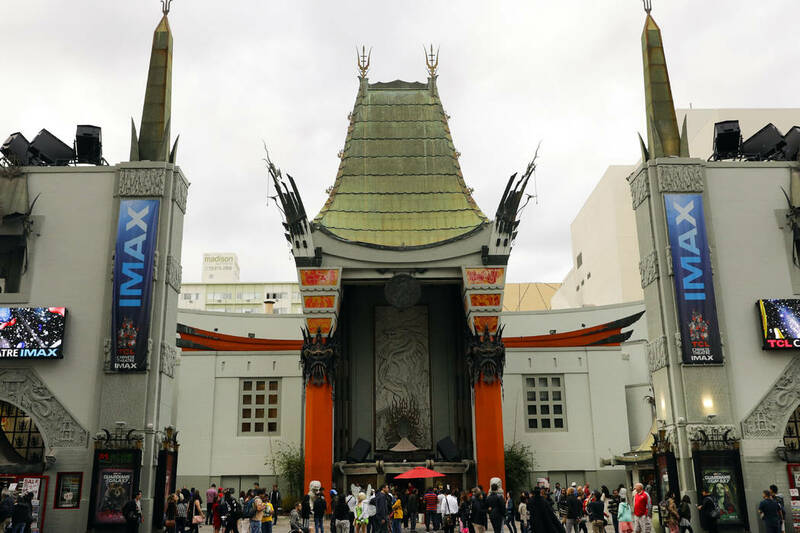 The IMAX at Hollywood’s iconic Chinese Theater, opening Saturday afternoon, high aisle seats. Now perhaps I could have found some opening night tickets somewhere, but April 25th is also the Gotham finale, and I hope to be watching that with The Colonel. That’s been one of our things these past five years, and while I’m sorry to see it come to a close, seeing fully realized Batman on screen is going to be breathtaking. Anyway, these are prime tickets, and I got two of them. Why? Well, I’m covering my bases. It’s not so nutty to expect a plus one, as I’m sure there are plenty of people who would love to see this cinematic event opening weekend. And in such a venue! But would they like to go with me? That remains to be seen. And it doesn’t have to be a romantic date with a woman, either. This isn’t a sexist thing. My best friend back east would love to go with me, but he’s a continent away. So if you or anyone with money you know is interested, drop me a line, and I’ll add you to the list of candidates. Disney has recently confirmed that Deadpool will continue. Will he have any connection to the MCU, be integrated in, or remain entirely separate? We’ll see. Some have suggested that the post-credits scene should be Deadpool running in, apologizing that he’s too late to fight Thanos because the merger took too long. Playful. And the Deadpool movies, while they are primarily solo outings for their eponymous fourth-wall breaking anti-hero, have never hide the fact that they’re in the X-Men universe. Now, director Simon Kinberg recently said Dark Phoenix was always meant to wrap up said universe, which will make it all the sadder a film. And Hugh Jackman, who once said he would come back as Wolverine if he could be in the Avengers, backtracked after Logan, understandably considering how unparalleled a character exit that was. Yet New Mutants comes out, surely with a post-credits scene of its own, two months after Dark Phoenix, the Deadpool/X-Force projects are actively being developed, and even Channing Tatum’s long-stewing Gambit hasn’t been officially scrapped. 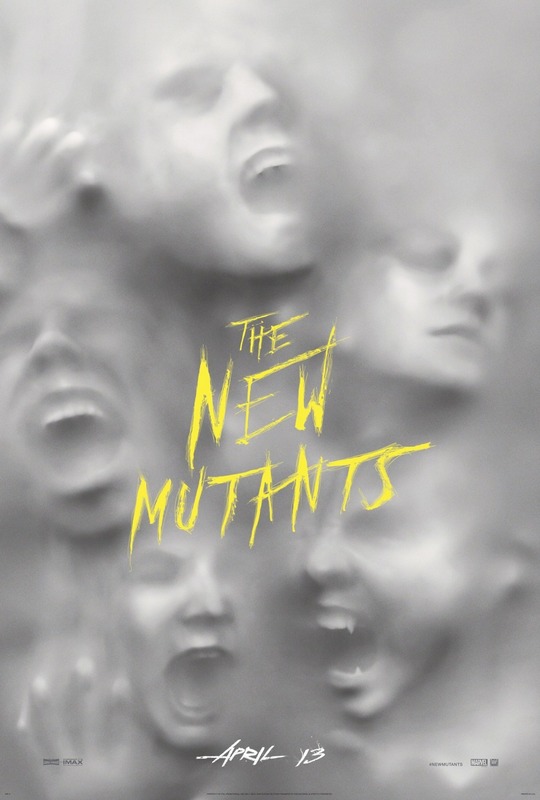 You want a post-credits tease that will really keep the audience’s cheers going, bring on the mutants!